How did you ever get along without this set of shears from Shun? 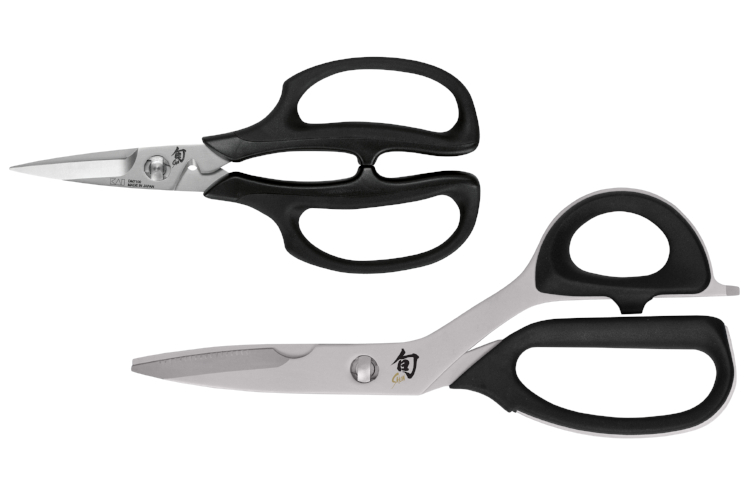 The two-piece set includes the highly recommended Premium Kitchen Shears and the razor-sharp Herb Shears. The Kitchen Shears can be used for everything from cutting through thin poultry bones and lobster shells to opening packages and cutting flower stems. The Herb Shears have an extra-fine cutting edge which cleanly cuts herbs and won't bruise the delicate leaves and stems. With a built-in blade notch to strip herbs, the Herb Shears have it all.